Catherine is an only child, but she’s never alone. She has Baby Doll, Lamb, Mr. Elephant, Lady Ladybug, and Bonnie Bunny to keep her giggling all afternoon with their stories and antics. While the tagalongs tease each other about their shortcomings, Catherine the Great, with her insightful, big brown eyes, sees the goodness in them all. This first novel in the MacGregor Family Adventure Series involves sinister pirate forces, strange sea creatures, hospitable native Caribbean people, and issues of environmental management and endangered species. Suddenly faced with the task of saving a lost Spanish treasure embedded in protected coral reef, four enterprising teenagers rely on their courage and scuba-diving skills as they explore and investigate the exotic waters and beaches of the Cayman Islands. The spirits rise up and dance with delight. And Jean Lafitte comes with his whole pirate crew. Join these folks and more at this big, ghostly ball. Rattle your bones and celebrate New Orleanians, all! Children will be captivated by this classic’s New Orleans setting and vibrant narration. As lagniappe (something extra), Cajun-French words and phrases are used throughout the story. As in Cinderella, Cendrillon is pestered by la belle-mère (her stepmother) and les belles-soeurs (her stepsisters) but is helped by the bayou creatures who are ses bon amis (her good friends) and by la marraine (her fairy godmother). While the essence of the original story remains, the influence of New Orleans is evident throughout. Take Little Red Riding Hood and drop her in the middle of the Louisiana bayou, and she magically transforms into Petite Rouge! Will Petite Rouge safely deliver her étouffée to Grandmère? Will Grandmère get well? Will the gator taille-taille (monster) eat them both? As children discover the answers to these questions, they will also learn numerous Cajun words along the way. 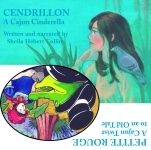 Children will be captivated by Cendrillon’s New Orleans setting and vibrant narration. While the essence of the original story remains, the influence of New Orleans is evident throughout. Take Little Red Riding Hood and drop her in the middle of the Louisiana bayou, and she magically transforms into Petite Rouge! Children will be captivated by this classic’s New Orleans setting and by the vibrant illustrations. As lagniappe (something extra), Cajun-French words and phrases are used throughout the English text. Translations of the French words, along with a pronunciation guide, make this story educational as well as entertaining. Hardcover. The Charm of the Bear Claw Necklace takes young readers back seven thousand years to what is now the southeastern United States. Young Redwolf and Windyway must face incredible hardship and danger each day. Like other Stone Age children, Redwolf and Windyway must help their family survive in this hostile environment. Paperback. Award-winning singer and songwriter Johnette Downing teams up with Deborah Ousley Kadair for another perfect storybook, which celebrates life in Louisiana and introduces young readers to the spice of Southern culture and food. A classic tale meets Southern spice! The folk tales of the Vietnamese culture are extremely important, as they depict the creation of their people and their traditions. 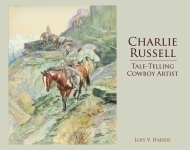 Here, some of the favorite tales of the Children of the Dragon are researched and retold for a modern audience with grace and a touch of humor. Sisters Elizabeth Ann and Miss Mollie make the final preparations for their annual Christmas tea. With an assortment of treats baked and the table set for the guests to arrive, everything is just about ready, but they have a problem. What will they do with their eight rambunctious cats?